SoleHeeled offers convenient and affordable Wittner boot repairs by Australia’s best craftsmen, with free shipping to your door. This case study outlines how we recently repaired a customer’s Wittner boots. These Wittner boots were manufactured by this well-known Australian, family-owned brand with a modern classic stiletto heel that was no doubt pleasing to the eye. But the owner of this pair found them to be a little difficult to comfortable walk in. When this customer reached out to us for a free diagnosis/quote, we offered to replace the heels with another, more solid style of heel that would allow the boots to retain their visual appeal and meanwhile allow the customer to walk in them comfortably. Once we received the boots, we inspected them and presented the customer with 3 options of replacement heels that would work for her boots, having regard to optimal structure, aesthetics and comfort. With the customer's confirmation, we went ahead and replaced the stilettos with a thicker heel. Not all heel types work for all types of boots. 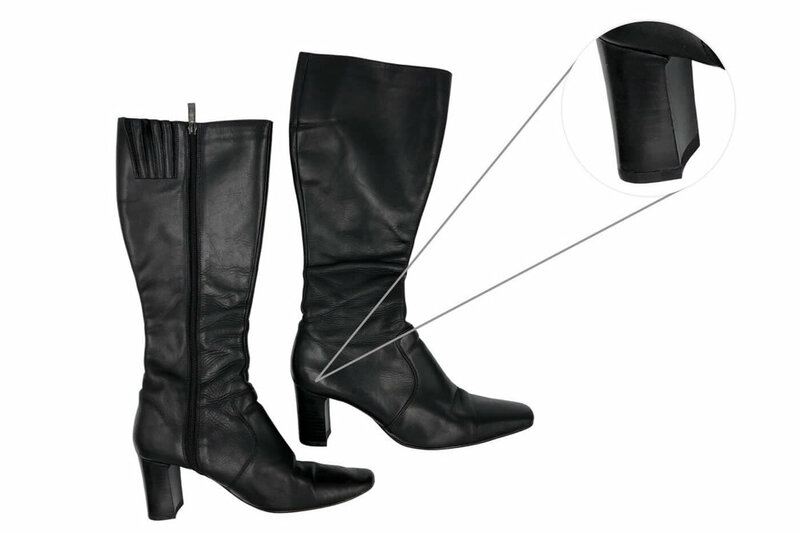 We often need to carefully inspect the structure of the boots to confirm which types of heels would fit the base of the boot and also specifically consider the implications of a heel style change for comfort and longevity — for example, replacing longer heels with shorter heels can cause the front of each boot to angle upwards, off the ground, making it almost impossible to walk comfortably. But you can rest assured that we will give proper thought to these questions. Have a pair of Wittner boots needing repair or restoration? Our experienced craftsmen have been trusted by not only generations of Australians but also local and international brands (including R.M. Williams) with the repair and restoration of designer boots since 1955. If you have a beloved pair of Wittner boots in need of repair or restoration, ask us for a free diagnosis/quote by completing our online order form — where you can upload photos of the boots and let us know exactly what you would like done to them, or let us advise you on what the boots needs based on the photos. Send your boots: Drop your boots off at a local post office for free packaging and shipping to us. We repair: A team of experienced cobblers will carefully repair your boots. We return: We'll deliver your repaired boots to you, wherever you are in Australia.